HSS Health & Safety Services were established in 2009 offering consultancy services to small – medium sized organisations providing competent health, safety and environmental advice, support, and assistance. HSS Health and Safety Services operate as the leading Cost Effective Health and Safety Solution to business in the UK. 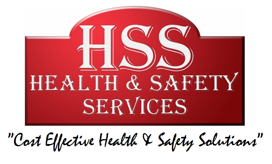 Why Choose HSS Health & Safety Services? Simple… Low Costs, Competent / Qualified Professionals, Peace of Mind, Assistance as and when required. We are here to represent our clients and their specific requirements. Whether you are a large construction company or a sole trader. HSS Health & Safety Services are your viable solution to managing Health, Safety & Environmental responsibilities for your company. We point you in the right direction by discussing your options and the cost. We help build the perfect package to meet your specific requirements streamlining the operation of health & safety which in-turn provides a more aware and intuitive solution to your legal obligations on a day to day basis. Health & Safety was developed to minimize and eradicate risk to individuals. At HSS Health and Safety Services we help you accomplish this, easily and efficiently.